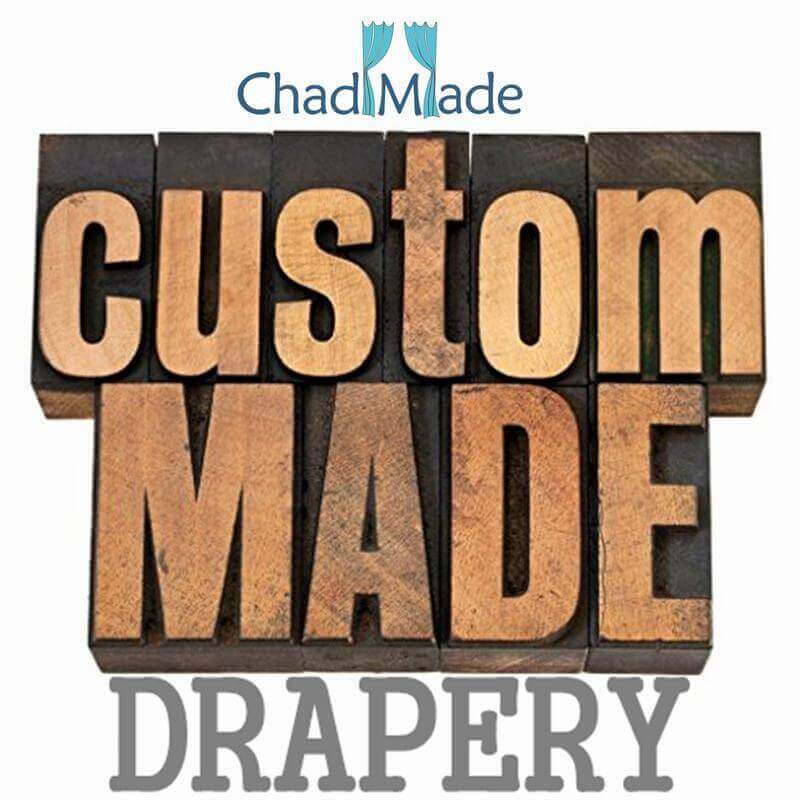 This is made-to-measure custom service charges pricing adjuster in order to meet the total custom fees. Custom orders don't accept return and refund, unless product defective issue. 8 headers: Antique bronze Grommet, Nickel Grommet, Rod Pocket, Back Tab, Tab Top, Flat Hook, Pinch Pleat, Goblet. 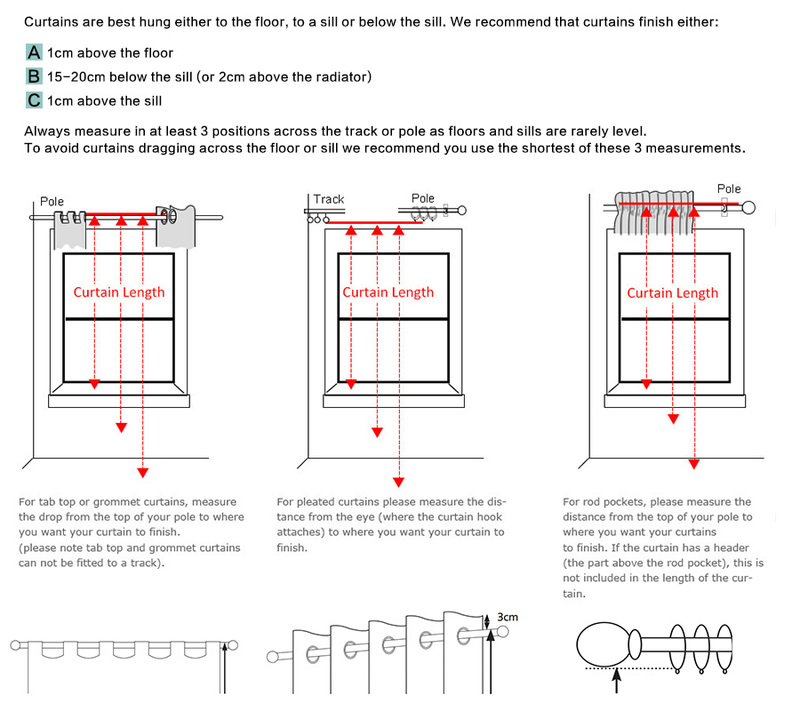 SIZE CUSTOMIZED: The curtain size means the single curtain size, not the track or pole size. 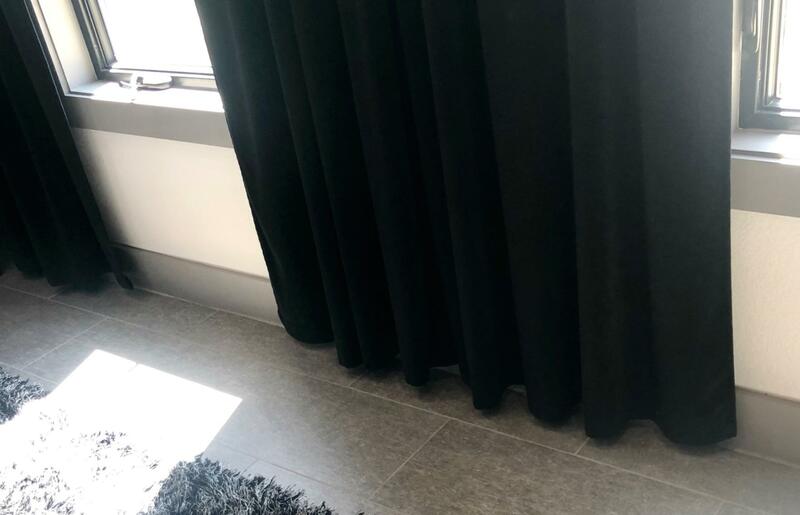 Customer decide the curtain wide size, considering fullness and folding. LINING OPTIONS: 1) White cotton 105 gsm privacy lining to enhance weight; 2) 97% white blackout lining in 140 gsm; 3) Thermal blackout lining 200 gsm microfiber with white foam coated. LEADTIME: Normally need 3-7 days tailoring and 4-10 days international express delivery. Spend $29.99 to order maximum 5 fabric swatches. This amount could be deducted from your formal custom order, if order amount is over $299. We handle refund after your formal order is shipped. 1. Header: Nickel Grommet/ Antique Bronze Grommet/ Tab Top/ Rod Pocket/ Goblet/ Pinch Pleated/ Back Tab/ Flat Hooks. 2. Single Panel Width and Length: __inch. Measure your rod or track,and decide curtain width. 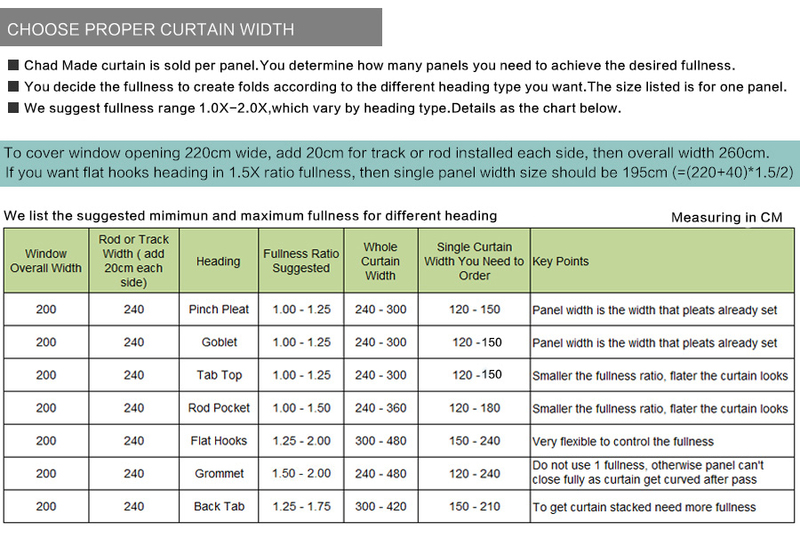 Normally curtain width need to be 1.25-2X wider than rod or track width for fullness. Please refer to guide on measuring to decide fullness for width. Unlined; Privacy Lining (cotton blend in white, 105 gsm); Blackout Lining (140 gsm weight, white); Thermal lining ( 200 gsm microfiber with white coated). 4. 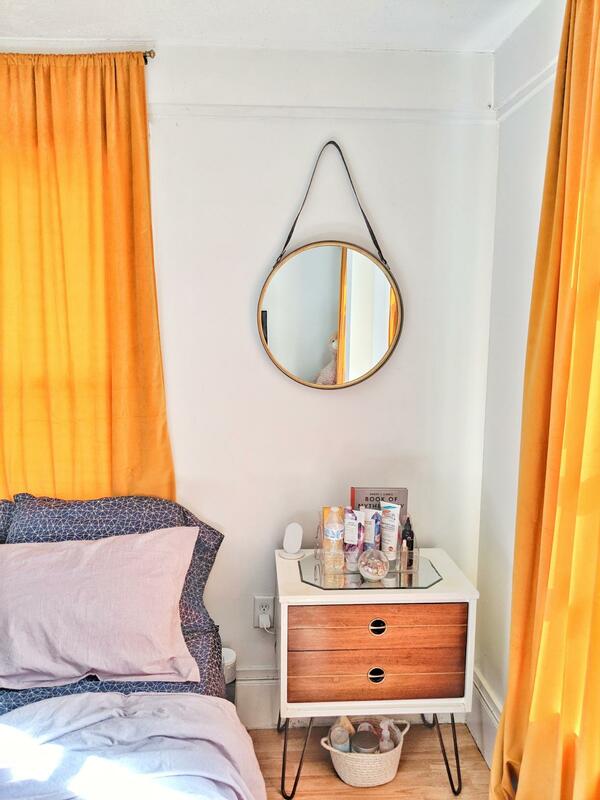 Curtain Tieback: No or Yes (standard size 3x18 inches). Send email to [email protected] to provide above information for quote before place custom order. Privacy Lining: It is care finish, and minimize creasing. Privacy lining block about above 88% of sunlight. The lining fabric is in white in default. Blackout Lining: We use a 3-pass white blackout lining giving a superior effect. This lining is available in white in default. 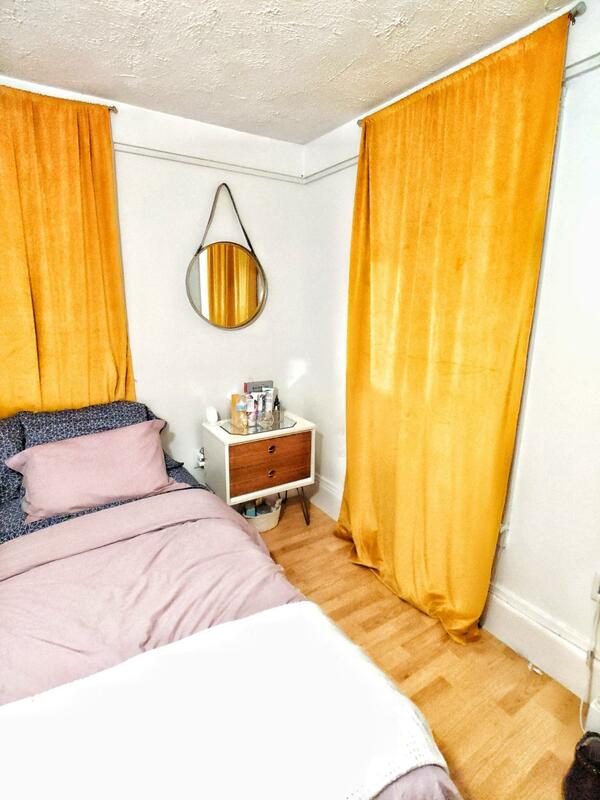 Please note that although the lining is blackout some light will still be visible around the edge of the curtain. 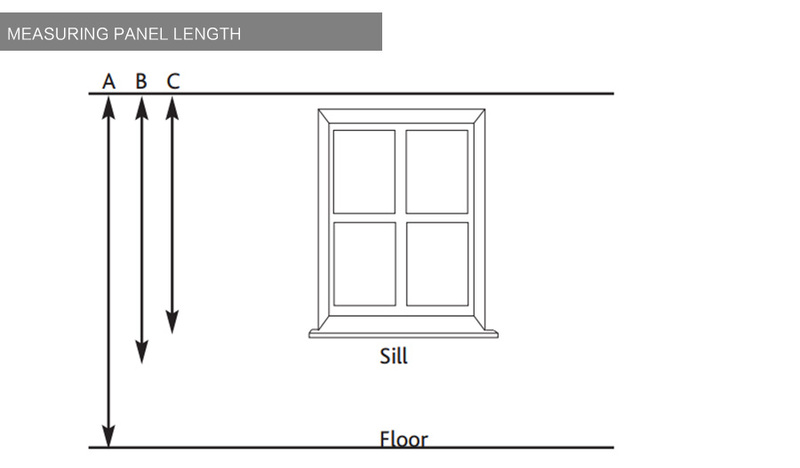 To minimize this effect, please ensure that your curtains extend at least 4 inches (10cm) beyond each edge of the window. 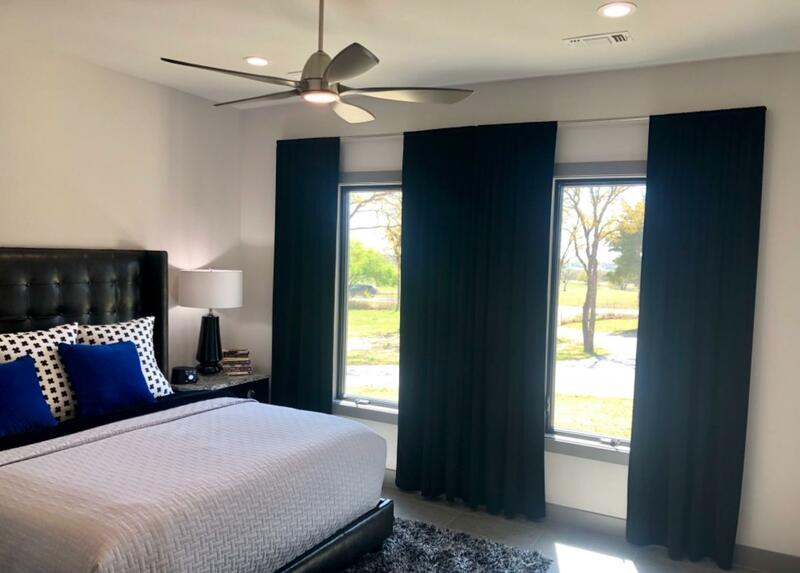 Curtain with blackout lining could block 97% of sunlight. Thermal Lining: Microfiber foam coated lining in white. This gives it insulating properties which help to reduce heat loss from a window and therefore also helps to conserve energy. 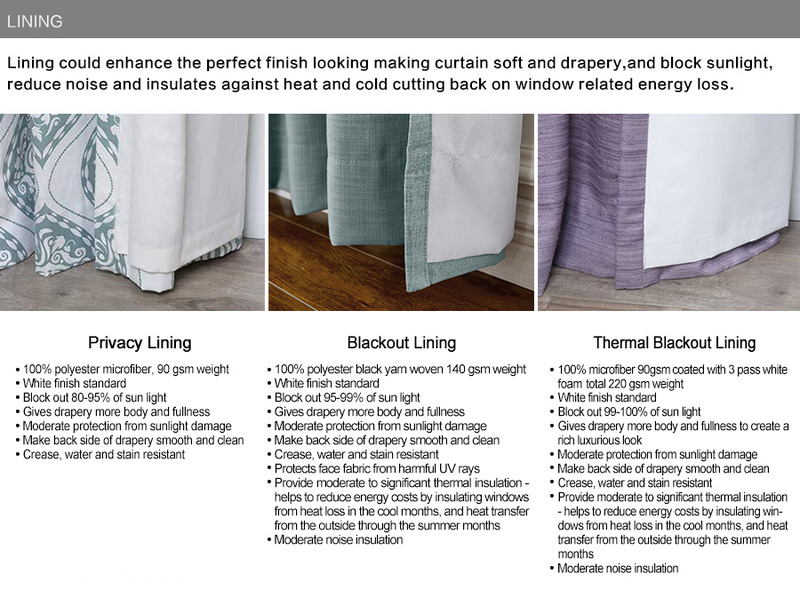 Insulate 805 and block out 100% sunlight. 4. 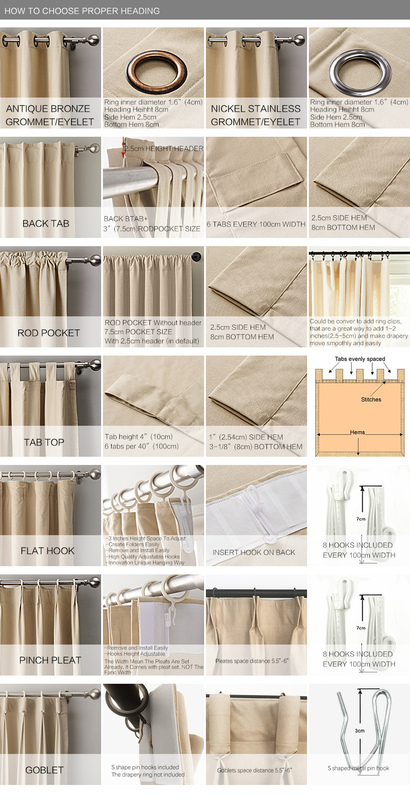 Only 6 steps to place customized curtain drapes online easily to save your time. We live for internet. Beautiful. Soft. Quality. They are very heavy, but hang beautifully. Love these curtains the color was just as the pictured showed and they are absolutely beautiful in my bedroom and so soft! 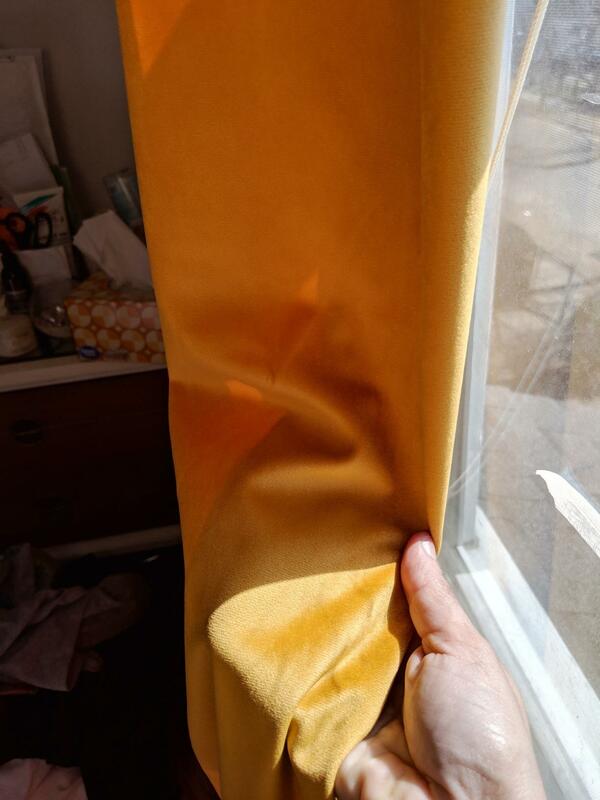 Unfortunately, these were the wrong color for me (crimson rust) but I had to write a review because the quality of these curtains is outstanding. 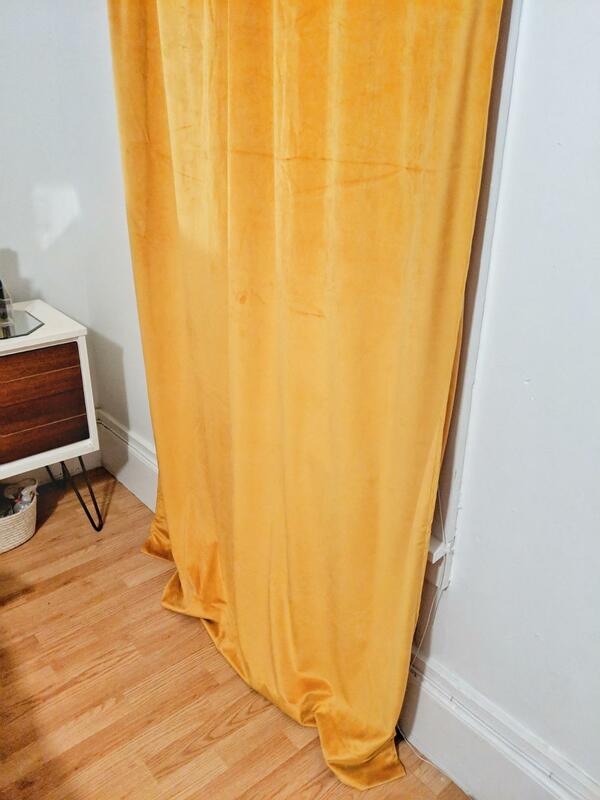 The fabric has a beautiful nap and the weight of the drape is really solid. But the way they are made is real quality. The lining is heavy and the stitching and binding is superior. I am really astounded by the price. I wish there were a color that worked for me. 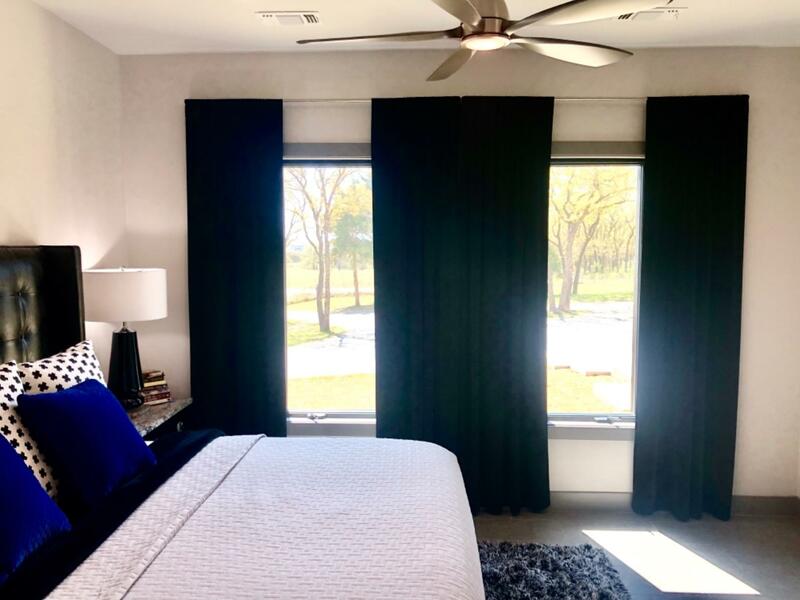 When I tried this drape over the window I could tell that not only was it light blocking but it would have cut a lot of heat too from sunlight. If these come in a color that works for you, buy them! The color is a lush,deep,teal green and the fabric is so soft. The product is exceptional for the low price. So luxurious. They look and feel expensive and completely black out and cool my bedroom. For the price, these are beautiful. Soft, pretty and look expensive. Obsessed with these! They are certainly a dark teal, and beautifully textured and luxurious for how inexpensive they were! It’s been 4 months and they have stayed vibrant and pretty. 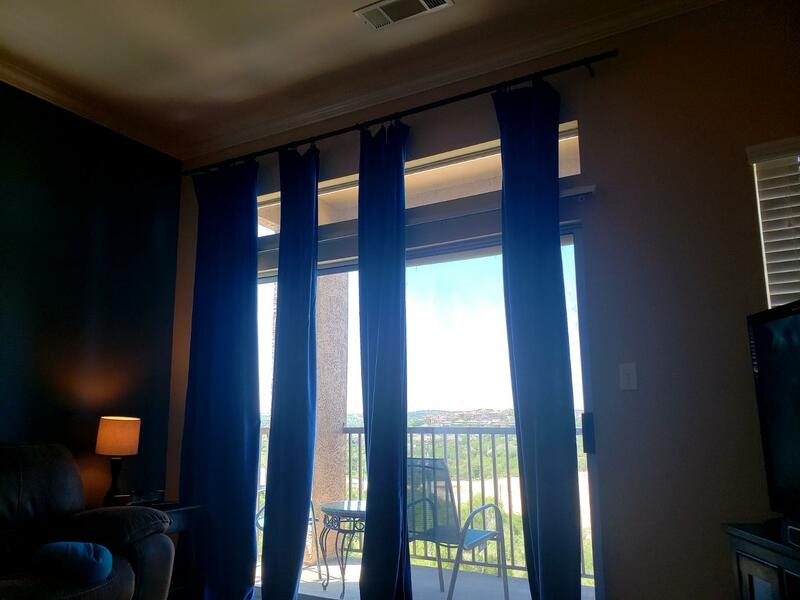 I wasn’t expected to be as pleasantly surprised as I was when I hung these drapes. 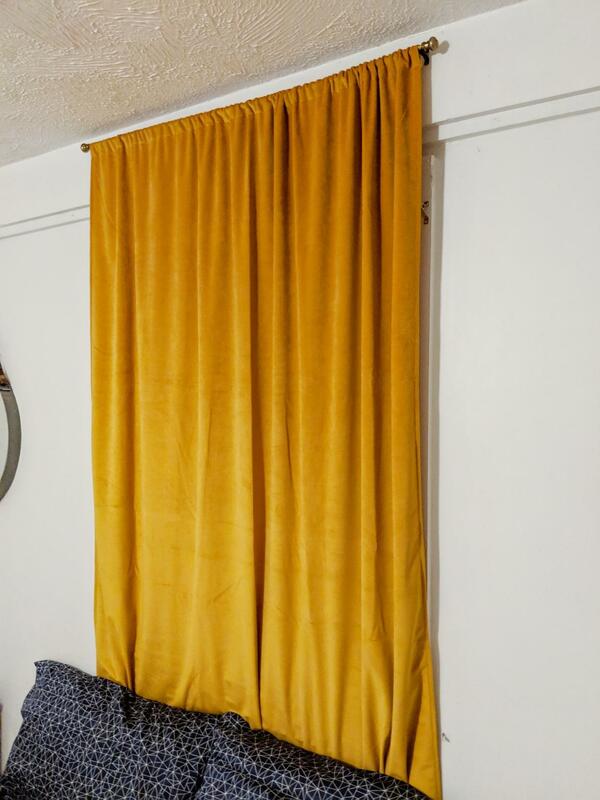 The feel of the velvet, the weight, the color, all truly spot on for what I had envisioned when I began a search for velvet curtains. Really blocks out the light incredibly well. I like the style of the pleats as well. Perfect. Amazing quality. I cannot believe they’re as cheap as they are.